The Brest, Rio, Cape of Good Hope, Brest triangle promises to be, “a little under a month at sea, which in the end is only a little shorter than a round the world by the three capes. Nicolas Troussel is fortunate to have the likes of Michel Desjoyeaux and Juan Kouyoumdjian by his side as he contemplates the 2020 race. 2019 looks like being a busy season with three Globe Series races to compete in (Bermuda 1000 Race, Rolex Fastnet Race and the Transat Jacques Vabre) as well as the Rolex Giraglia and the Azimut Challenge. 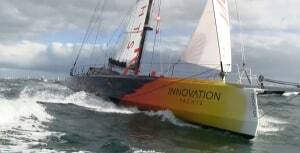 First tested in November 2015, the L30 boat concept was drawn up by Olympic medallist and Volvo Ocean Race competitor Rodion Luka. Performance predictions for the design suggest that, in certain conditions, it is capable of leading the 30m maxis over the 630 nautical miles. This new trophy is designed to promote camaraderie among offshore sailors from the same club, region, or other affiliation, and will be awarded to the three-boat team which compiles the best score. The 2019 Brisbane to Gladstone Multihull Yacht Race has something the 2019 Sydney to Hobart won’t have - the trimaran Beau Geste. 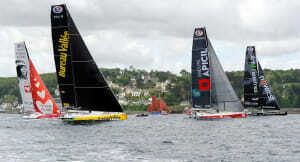 The next edition will start in 2021 from Alicante, Spain, with two classes of boats: the foiling IMOCA 60 and the one-design VO65. 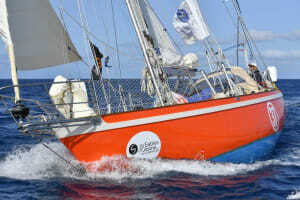 Norbert Sedlacek’s circumnavigation departure is planned for Sunday 21 July at 6pm from Les Sables d’Olonne, France. 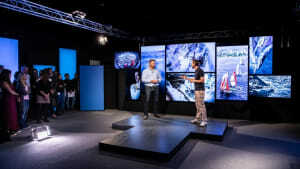 Competitors will be attempting to complete the race to clock up miles in order to be selected for the 2020 Vendée Globe. 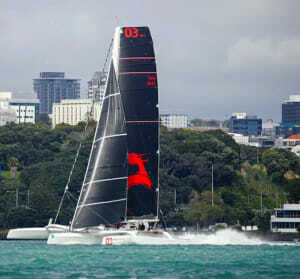 Karl Kwok's Beau Geste will be a firm favourite for line honours. 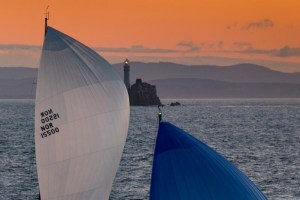 While the bulk of the fleet remains the IRC entries, competing for both their class titles as well as the overall Fastnet Challenge Cup, 2019 will see an unprecedented entry of 'non-IRC' boats, the majority from France. Kopvar reports that he is still having steering problems, specifically that the replacement rudder blade on his wind vane self steering is too short and is being lifted out of the water as his yacht traverses the waves. 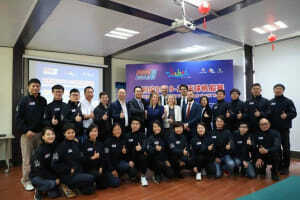 While China is well known to the race, this is the first time Zhuhai will be represented.